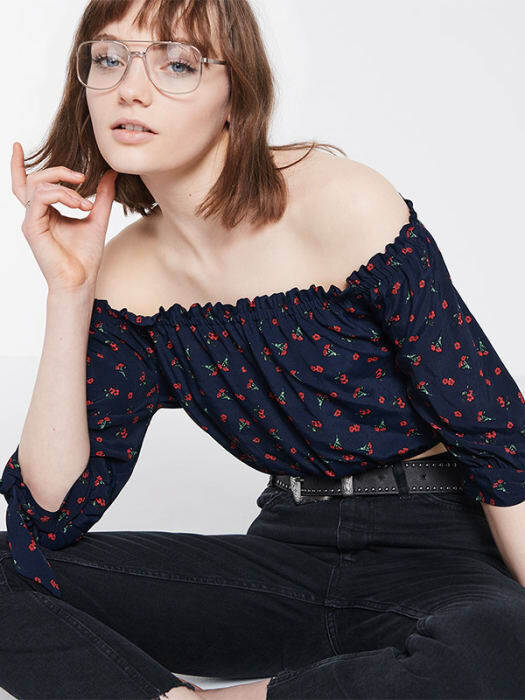 A cropped cut, tie sleeves, and an off-the-shoulder neckline? 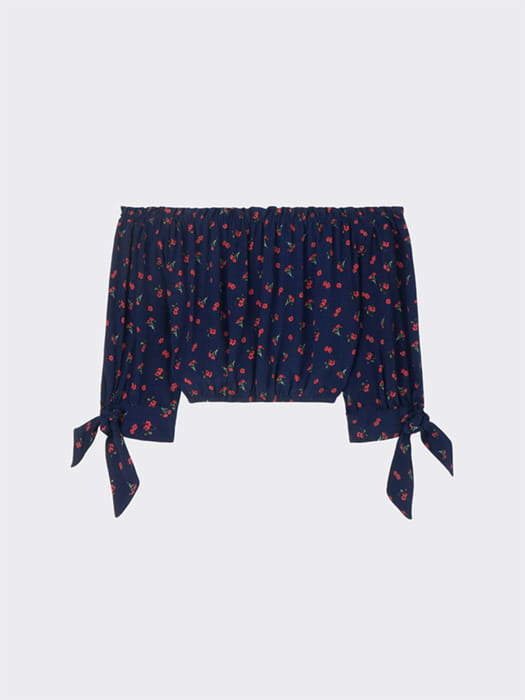 This navy Ditsy Print Bardot Top ticks EVERY box! 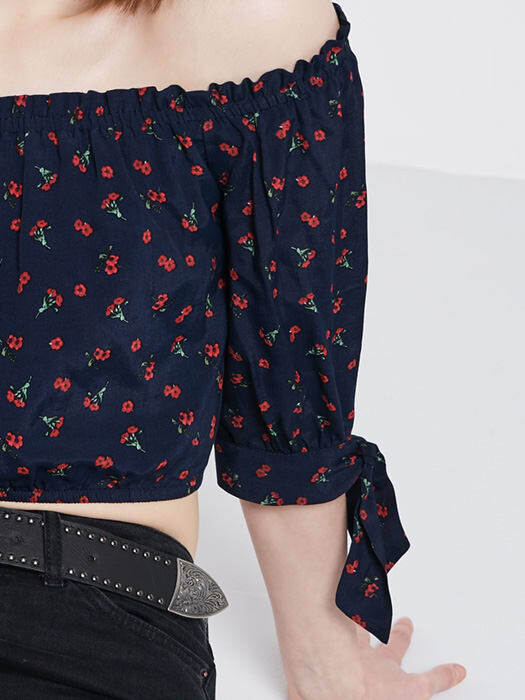 Micro-florals bring the navy to life, while an elasticated hem helps volumise the look. 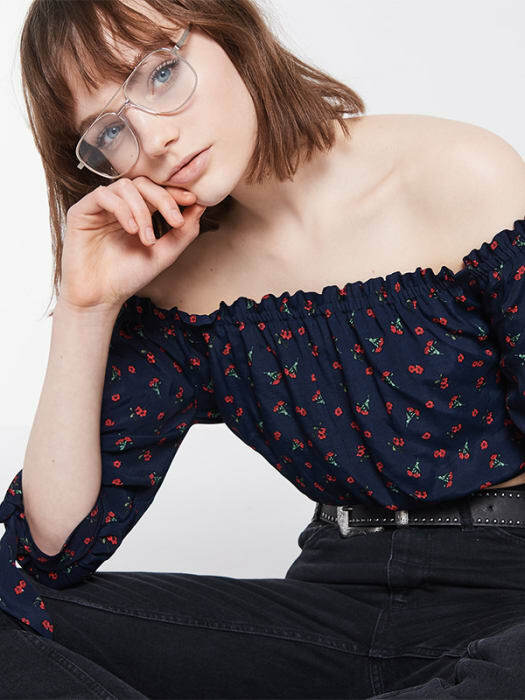 Co-ord the cut with high-waisted shorts for a festival-ready vibe.